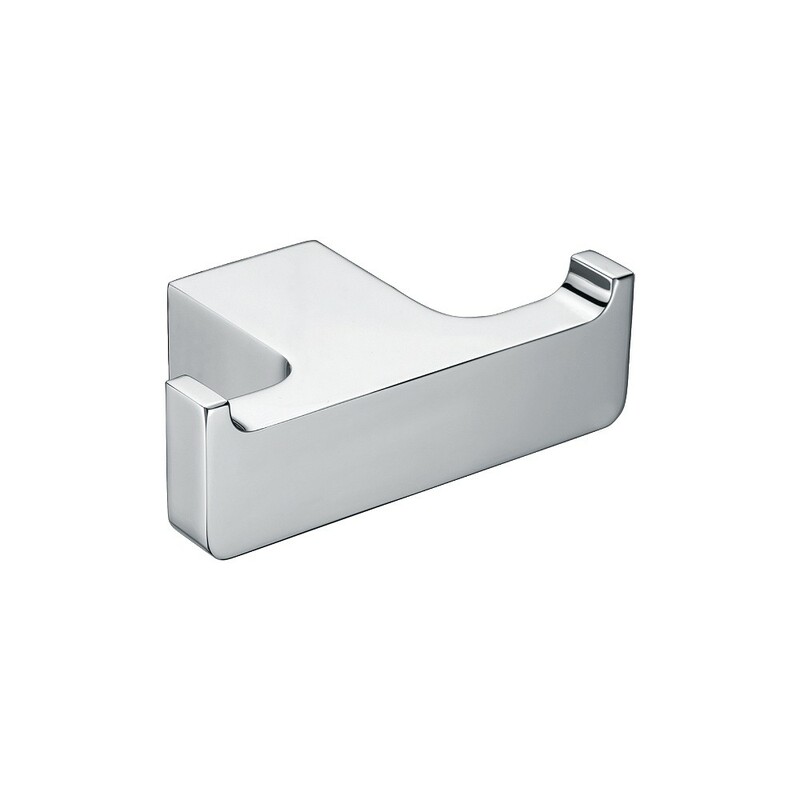 Eneo double robe hook chrome. By combining the square geometric form with the gentleness of curved corners, the Eneo toilet roll holder has perfectly captured today’s design trend. That trend is contemporary luxury. Contemporary, though the use of straight lines. Luxury, through generous proportions, softened edges and chrome plated brass construction.